Wondering which wines to drink during the summer months? ely has all the tips…. 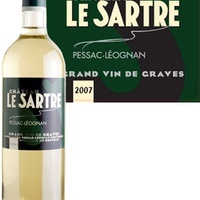 Coming from the warm Mediterranean coast of the Languedoc Roussillon in Southern France, it is mouthwateringly refreshing with zesty lemons, Granny Smith apples and a rich creamy finish. 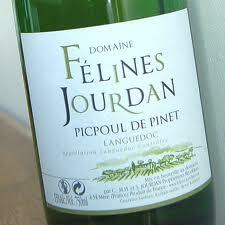 Traditionally in Southern France Picpoul is drunk with oysters and we can’t think of a better match. Chenin Blanc comes in all forms, taste and sizes. Domaine de la Renandie’s has ‘aromas of grapefruit, lime and honey. A very fine palate with plenty of freshness and minerality’. From the Loire Valley, more famous now for Sauvignon Blanc, Chenin Blanc is more widely planted and renowned for it’s racy acidity and crisp apple freshness. A must try this summer. This absolutely delicious wine is perfect for those who don’t like Chardonnay and those who love it. The 2010 vintage is rated as outstanding and we are delighted to be able to share with you one of the best on the market. Completely unoaked it is crisp and racy with excellent minerality. If you normally drink Sauvignon, try this and surprise yourself! Made from the classic Bordeaux white blend of Sauvignon Blanc and Semillon this wine has both the bright zesty flavours of Sauvignon and the richness of the Semillon. It spends some time aging in barrels which adds savoury tones to this classic wine. Decanter magazine has described this as ‘delicious’ and Wine Spectator has described it as ‘delicious and generous’. We think it’s stunning! Made from the typical Southern Rhone blend, La Chataignier ‘Cotes du Luberon’ never disappoints. It’s absolutely brimming with aromas of strawberries, raspberries and plums and yummy liquorice tones. If you like Côtes du Rhône, you’ll love Côtes du Luberon! 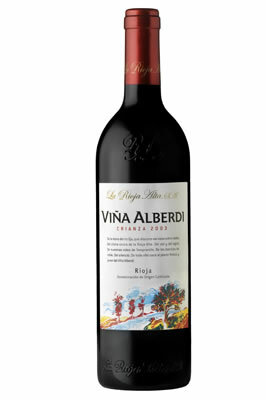 Vina Alberdi is one of ely’s best selling wine and for good reason. It’s a classic Rioja with a contemporary feel. Intense aromas of wild strawberries, sweet raspberries, cinnamon, coconut and vanilla. Medium bodied and spicy with elegent tannins, this an excellent accompaniment to ely’s meat platters. From the Cotes du Nuits in Burgundy, Morey-St-Denis is one of the key villages in Burgundy. We have sourced a deliciously summery one with, light, fresh and juicy with aromas of marascha cherries, spices and delicate herbaceous tones. Delicious served slightly chilled and perfect with charcuterie. Cherry pink in colour this Bordeaux Rosé is exactly what you want to hit the spot – absolutely brimming with raspberries, cherries and strawberries with hints of peaches and bananas. Dry with a tiny hint of sweetness and a rich mouthfeel, this is delicious by itself of with a fresh summer salad. A great new addition from Domaine La Sarabande, an award-winning winery in Faugeres, Southern France. Fresh, fruity and salmon pink in colour, it has vibrant flavours of red cherries and strawberries, lively acidity and a long finish. It’s our new favourite rosé. Fizzy, pink and slightly sweet this is the ultimate summer drink. It has delicious fruit flavours of strawberry, mandarin, rhubarb, pear and pink grapefruit. There’s no better way to drink this than on the waterside terrace with a selection of ely’s homemade icecreams and sorbets. Yummy! Our prosecco is one of the nicest, if not the nicest prosecco you will ever taste. From the Veronese hills this aromas of fresh Golden Delicious apples, pears and a distinctly peachy finish. There’s only one problem with it – it’s very more-ish. Coming from the heartland of the quality Champagne area, Domaine Dravigny-Godillon is one of the few Champagne houses, alongside Bollinger and only a few others, to still make the traditional biscuity, yeasty Champagne style. They are a small family run winery and sell their wines only to the restaurants of Paris, Ireland and Denmark. Light and refined, it has delicate aromas of fresh strawberries and peaches with lively bubbles and fantastic freshness. WANT TO SAMPLE ANY (OR ALL) OF THE ABOVE? all the wines listed above are included in our summer wine selection available at all 3 ely venues. Have Beaujolais Nouveau at ely this November 17th! According to French law, Beaujolais Nouveau is released at one minute past midnight on the third Thursday of November. This decades-old tradition is celebrated worldwide. Georges Duboeuf is credited for marketing it to the rest of the world and making it a global tradition. His nickname is “The King of Beaujolais” for the fame he has brought to the region. Duboeuf took the tradition of the “new” wine that started in the Beaujolais region as a way to toast the harvest and turned it into a global celebration. Beaujolais Nouveau is “new” Beaujolais. The Gamay grape is hand-harvested, fermented, bottled, and available in a matter of weeks: What is harvested in September 2010 is on sale by the third Thursday in November of the same year. It is tradition to have a bottle of Nouveau upon release and it offers a preview of the quality of the vintage and style that the winemaker will produce in their Beaujolais, Beaujolais-Villages, and Cru Beaujolais, which are released the following spring or summer. Beaujolais is located in the southern part of France’s Burgundy region and the wines are typically light, fruity, easy to drink, and affordable. 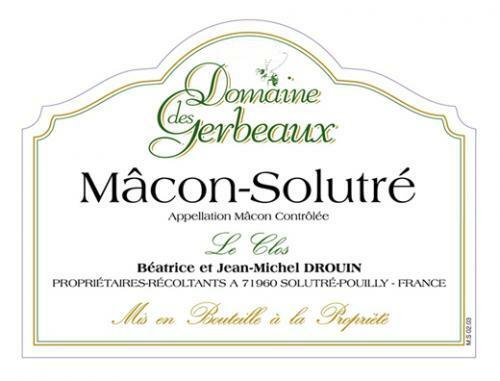 Beaujolais is different from most of Burgundy due to its focus on the Gamay grape for its red wines, instead of Pinot Noir, which is the red grape used in the rest of Burgundy. As for many of the regions in France, years of knowledge and experience have proven which grape is best for any area, and for the granite-laden hills of Beaujolais, that grape is Gamay. Traditionally, the wine has fruity raspberry and strawberry flavors and a hint of cranberry tartness that makes it food friendly and allows it to be served slightly chilled. All three elys will be serving Georges Duboeuf Beaujolais Nouveau for €7 a glass or €28 for the bottle from 17th November. Check out elywinebar.com for more details.